Leaving Berkley for our 22-hour trek to Malawi felt for the most part surreal. Partly because of the extremely immersive and busy schedule we’d had in the Bay Area, I had almost forgotten we wouldn’t be spending the entire semester there. It was difficult to wrap my head around the fact that we would be traveling with only each other to rely on for the next 4 months in such drastically different places. Looking back, it’s hard to fully process that you’re embarking on a journey of a lifetime until it’s really happening. Even then, you don’t really realize the immensity of it all until it’s over. And so, perhaps it makes sense that I left Berkeley struggling to understand exactly what I was walking into. Arriving at Lilongwe International Airport we were met by our new Country Coordinator, Geoffrey, who owns his own permaculture farm in the rural village of Goa where we would be spending a little less than two weeks of our time in Malawi. As a part of the IHP program we are blessed to have access to Country Coordinators who design what the program will look like in each country and utilize their connections within their communities to schedule lectures, visits, courses, etc. we wouldn’t otherwise have access to. On top of that, they act as the primary resource for students as they navigate cultural differences and any possible obstacles during their time in each country. A view from my daily walk back from our classroom to my homestay. 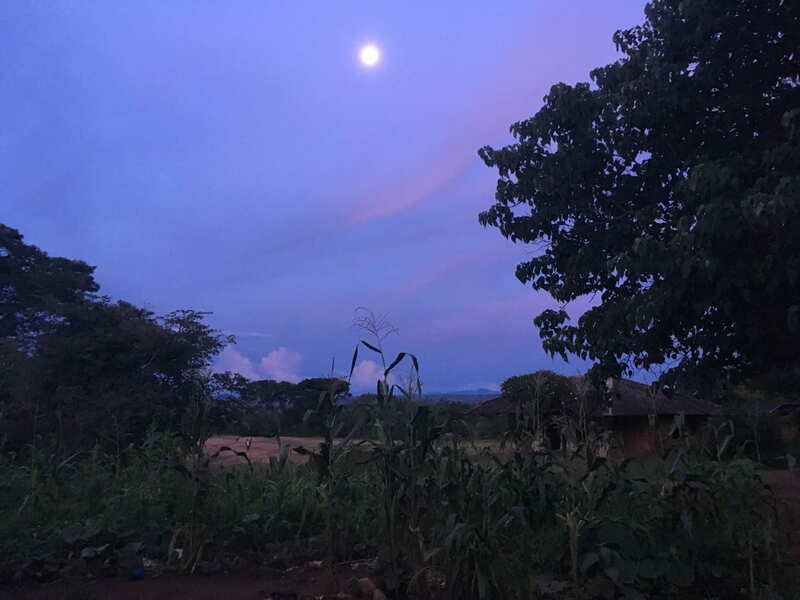 Geoff had created a very intentional schedule for our time in Malawi where we would alternate between time in the country’s capital, Lilongwe, staying at a permaculture institute in dorm-style living and his home village of Goa where we would stay with host families. The first week we stayed in Lilongwe and got a crash course of the Malawian agricultural landscape. 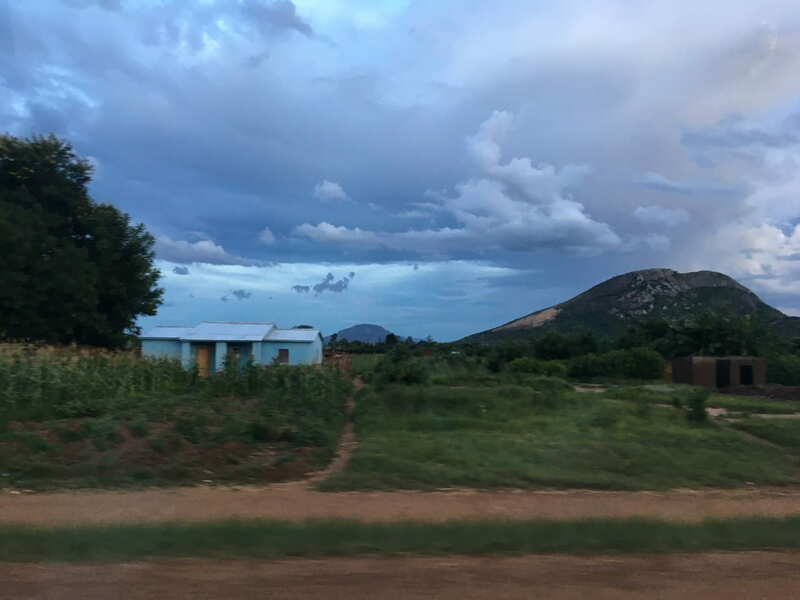 We sat in Economics and Political Science courses with our traveling faculty and discussed the ways in which smallholder agriculture in Malawi differed from the agriculture we’d learned about in the United States. Additionally, we examined how the legacy of colonialism continues to shape the industries that Malawi relies upon. We visited lots of organizations inside the city including the Ministry of Agriculture of Malawi and these visits helped guide us in our understanding of the new place and context we were in. During this week we also adjusted to a ton of new experiences. We struggled to learning how to tie and wear chitenjes, which are long pieces of beautiful fabric that are typically tied into ankle length skirts and are worn by women. We also learned how to take bucket baths (turns out learning how many cups full of water you actually need to wash all the shampoo out of your hair takes some practice). Trying new foods like nsima, a type of thick corn paste that is a staple for most Malawian meals. We got to know Geoff and his assistant, Charity, and began getting used to asking questions when we didn’t know something. We had lessons to learn some basic Chichewa (the language most commonly spoken in Malawi). We visited Lake Malawi (a huge lake that spans into Mozambique and Tanzania as well) and then we were off to a new location! 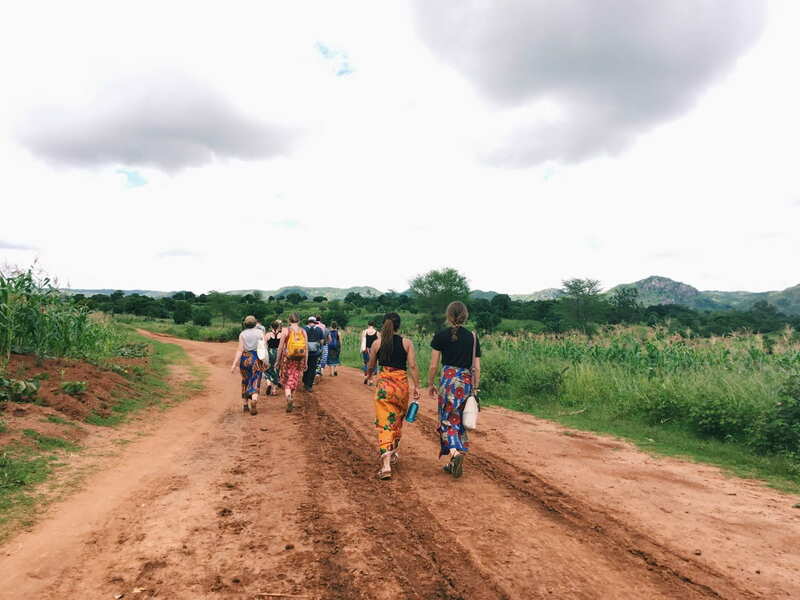 The second week with the basic knowledge we had gained in Lilongwe, we traveled to Goa, a small rural village, to get a more in-depth look at farming in Malawi and to learn from Malawian farmers themselves. We were introduced to our homestay families, we received our first homestay partners/roommate assignments, and quickly had our first of many misunderstandings and awkward moments with our families. We had many site visits which included an irrigation project and a visit with tribal leadership. 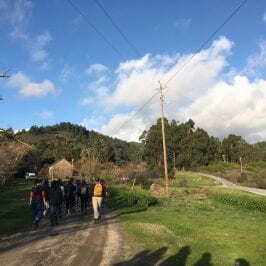 We walked around the village, orienting ourselves, and talking with locals. We fumbled to use our Chichewa and were blessed to have Charity and Geoff to translate when we couldn’t find the proper words. We slowly adapted to our new living arrangements and our new daily routines and before we knew it we were leaving again to head back to Lilongwe. Sunset and full moon over my host family’s maize field in Goa. Our group walking back from a site visit near Goa. In Goa, I did a lot of reflecting on the experiential learning model IHP employs. I struggled with the dynamics of our program and the ways in which we took up space in a community. It’s an interesting experience to concretely see that your learning is made possible through the kindness and generosity of others who are willing to share their lives and their work with us. It’s uncomfortable in ways that reading articles/books and attending classes at Amherst simply isn’t. On the other hand, this model along with discomfort also brings forth beauty and complexity. Feeling the discomfort of learning to directly ask for knowledge made me realize the nature of the act of teaching. To teach is to give. To care. To share a part of yourself. To believe in someone else and trust in their capability to understand and do something great with your lessons. Teaching is everywhere. It’s not limited to the classrooms of Amherst College or even our experiential site visits in Goa. It’s also my host mom teaching me to tie my chitenje better so it won’t fall off mid-stride. 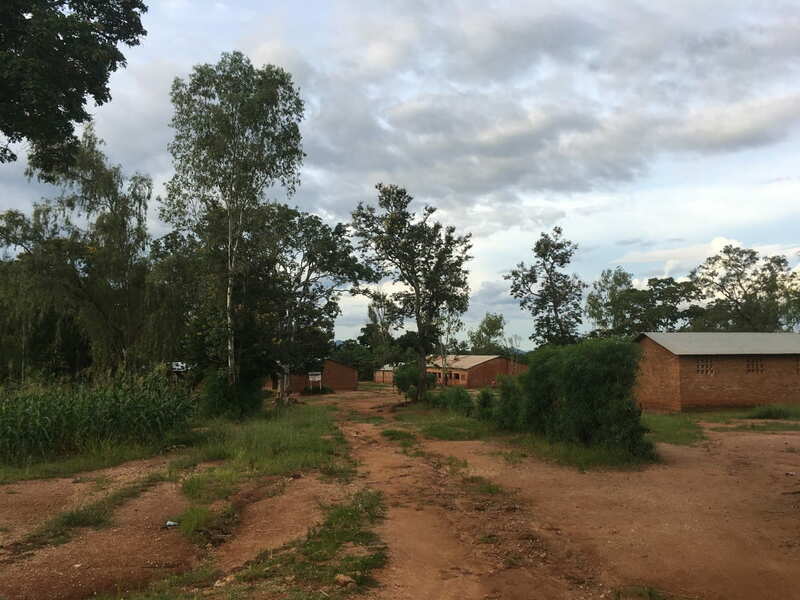 It’s the school children who corrected my Chichewa greetings and suggested new words and phrases to use as we walked the same road together both on our way to class. Being in such a different learning environment also brought up a lot of questions for me. It made me consider why the voices we heard in the village are almost never represented in academic spaces. Why certain forms of knowledge are more valued in academia, i.e scientific “objective” knowledge vs. knowledge grounded in personal experience? Also, how do we as academics define expertise? How is it possible that farmers in Goa might not be considered experts in Malawian agriculture whereas American academics might be? 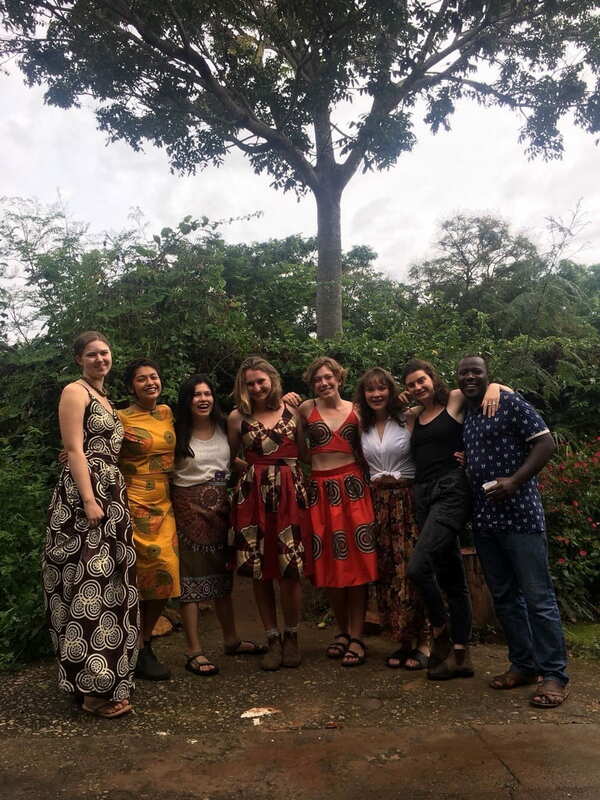 The third week we arrived back in Lilongwe in order to visit more organizations and engage with topics that benefited from us having a more refined knowledge from our time in Goa. We had many bus rides in and around the city. We learned about a large variety of topics ranging from GMOs to fisheries. We turned in our first assignments. A (blurry) photo taken from the window of our bus. It’s not an amazing photo but it does remind me of the many bus rides we took in and around Lilongwe. The fourth week we headed back to Goa in order to work on our Group Inquiry Projects. These projects are meant to allow students to investigate a question in the context of each country. A large aspect of the project is interviewing stakeholders in each country in order to learn more about the question. During our last week in Goa we scheduled meetings with different community members to begin working on our projects. We carried out our first interviews, learning along the way how to make our questions better. We celebrated our time in the village with a Farewell Ceremony full of speeches, good food, singing and games. Friends and I alongside Geoff, our country coordinator, all dressed up for our farewell dinner at the end of our four weeks in Malawi. As my time in Malawi came to a close, I struggled to come to terms with having to say goodbye and beginning to find the words to thank the people who made our experience so memorable. How could I say goodbye to Geoff and Charity who accompanied us to every outing, ate meals with us, laughed with us, and had quickly become an instrumental part of our group? How could I ever thank them enough for their patience with us, their infinite understanding, the way they pushed us to always consider things from a different perspective, and their unparalleled kindness? There were so many other goodbyes I had to think of as well… Goodbye to my host parents who had been so giving, who had so kindly begun to remember our favorite meals and made them over and over for my homestay partner and I, with whom we would have long-after-dinner conversations about world politics and cultural differences. Goodbye to our host siblings who put up with our poor Chichewa skills, who played games and sang with us, and showed us what was what around the house. Goodbye to all of the people we spoke to on our site visits who shared their lives and work with us so graciously. Leaving Malawi I suppose I’m starting to learn that it’s okay to not know how to say goodbye. Its alright to have made connections and not know if a future exists where you will see them again. Sometimes you have to appreciate that you were able to be a part of someone’s life no matter how short of a time. Sometimes you have to let those experiences stand alone to really appreciate their beauty. As opposed to my journey to Malawi with a relatively fresh beginning, it’s a much different experience leaving for India with a heavy heart and some abroad experiences under my belt.